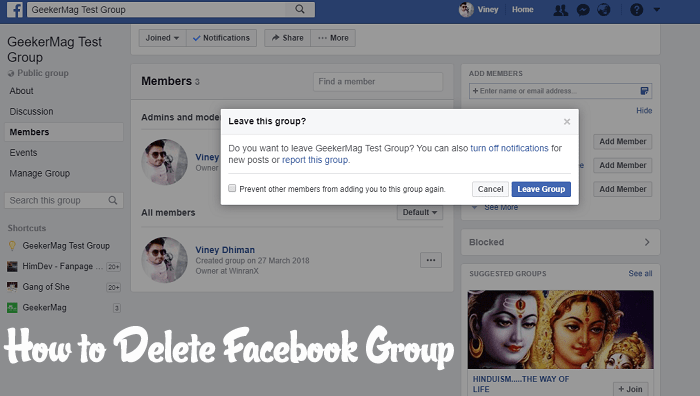 The following post will have step by step instructions on how to delete a Facebook Group. Facebook offers users various options to get connected with your friends. Groups are one out of those things. You can create one according to interest or cause. 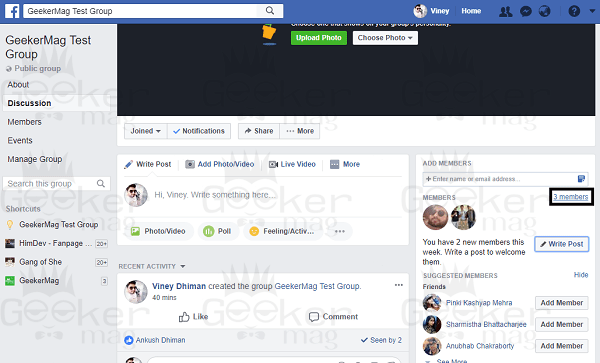 Creating a group on Facebook is a straightforward task, you need to click on the group, name it and add members to it. There are lots of options available using which you can efficiently manage and customize it the way you want. But if we talk about deleting a Facebook group, there is no such option available. 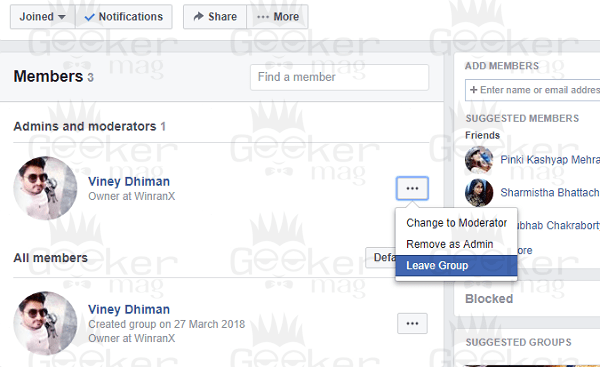 The steps on how to delete a group on Facebook isn’t simple especially when you have lots of members into that particular Facebook group. Even there are lots of users looking for exact steps to delete Facebook groups. 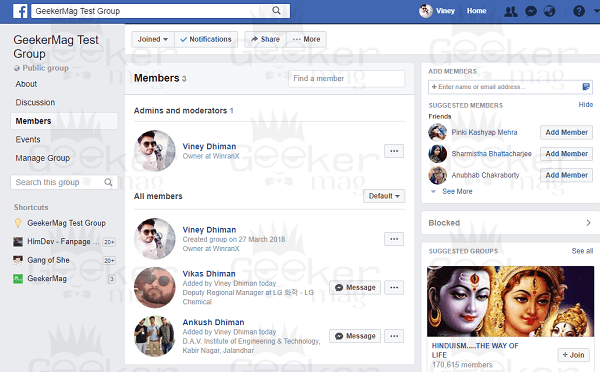 So to help those users I decided to write this post featuring a detailed tutorial to delete a group on Facebook. 2. 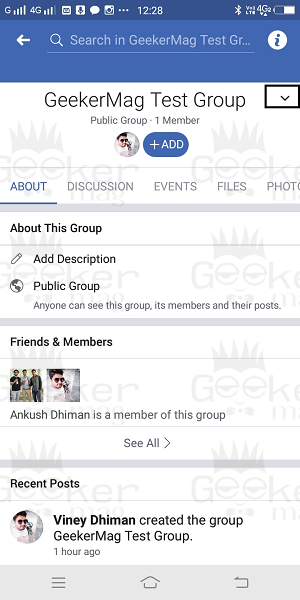 After that, click on ‘Groups‘ option available on the left side of the Facebook profile. 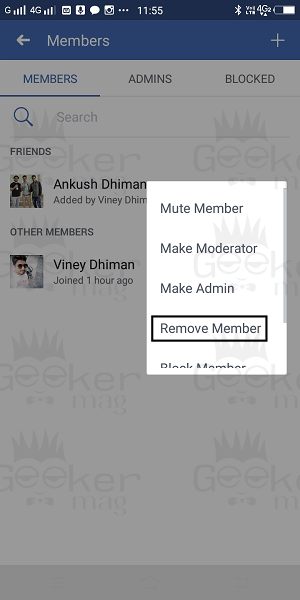 Navigate to a group which you want to delete. Alternatively, you can quickly search the group by typing the name in the search bar and when it appears in the search result click to open it. 3. 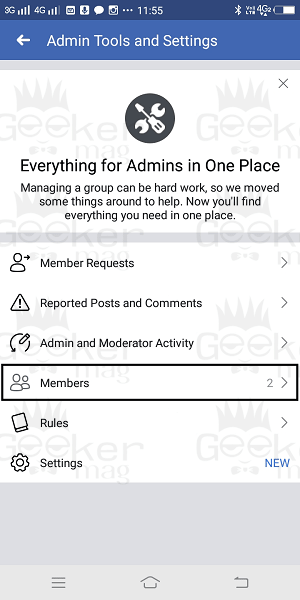 To delete a group, first, you need to remove all the group members. For that, click on the ‘member count‘ link available on the top right side of the screen. The following screen will appear showing you the list of members of the group. Click on the three dot (…) button next to every name of the member and from the menu select ‘Remove from group.’ Using the same steps remove all the members of the Group. Note: Don’t remove yourself from the group, you have to remove group members. The following Leave and delete this group popover will appear asking you for the confirmation. You need to click on the ‘Leave and Delete‘ button. 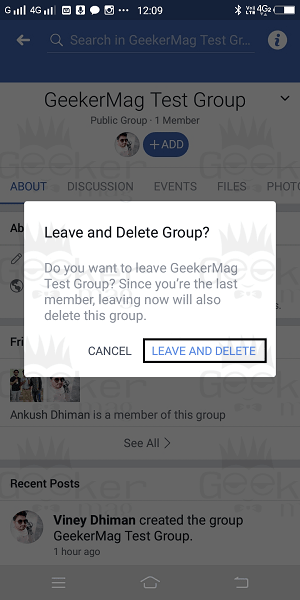 Once done, the remove you from the Facebook group and delete the same group instantly. 1. Launch the Facebook app. 2. 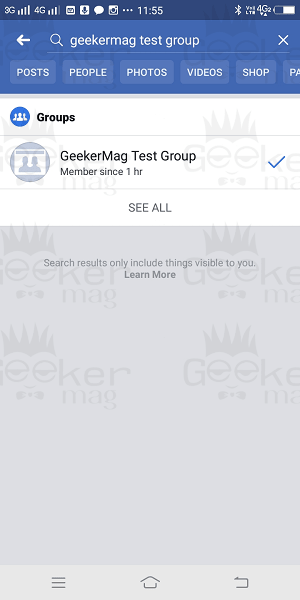 Tap on the Search bar and look for the Group which you want to delete. Once the group appears in the search result tap to open it. Once you have removed all the member of the group, it is your time to unfollow and leave the group. For that, tap on the down arrow next to Group name available on the top right side. This will bring the menu. Here first tap on ‘Unfollow‘ and then tap on ‘Leave‘ group. 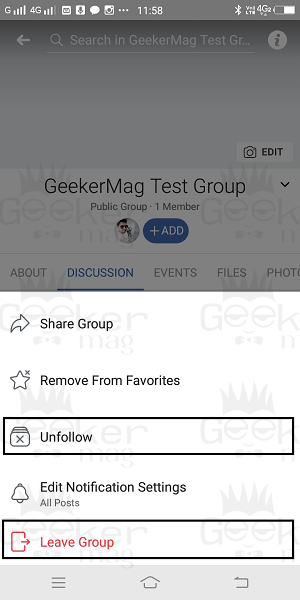 This will remove you from the group and delete the same group permanently. I hope you find my blog post on how to delete a Facebook Group useful. Let me know your thoughts in the comments section.